This is fantastic swimming pool made for swimmers! We’ll have use of 8 lanes which will allow up to 3 swimmers per lane. You will start at the far end of the pool as you look at the photos and after completing the 16 lengths you will exit through the Fire Exit door which is located to the left hand side of the pool as you view the photo. We will have a counter per lane and they will make it clear to you when you have two lengths to go. The bike course takes you down to Llanstephan . You will mount your bike at the designated Mount Line ( please see Transition map ). You will turn left out of QE High School and head down to Llanstephan. As you cycle into Lanstephan you will turn left towards the Car Park. There will be a dead turn around a traffic bollard before you take the narrow road down to the Car Park. This will be clearly sign posted and marshaled. You will then re-trace your steps back towards the Leisure Centre. You will turn right back into QE High School car park – we hope to have a police officer present to assist but you have to abide by the Highway Code at all times. New Run Course : This is one lap run. When heading out onto the run course you must make sure you race number is facing forwards. 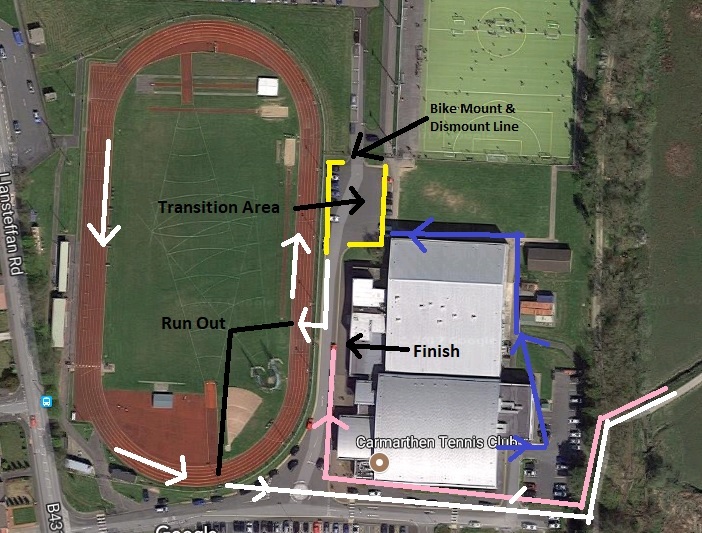 You will be directed out through the top of Transition and onto the Running Track. 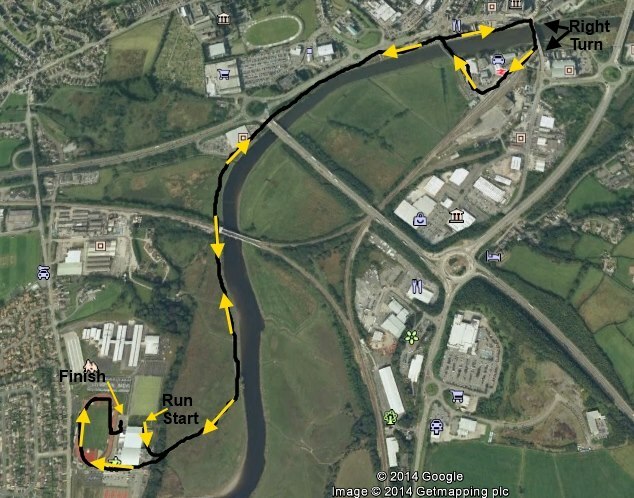 You will run one lap of the track before exiting through a side gate and past the Leisure Ctr towards the Tywi riverside path. You will follow this path alongside the river and towards Carmarthen Town. Once you get to the Quayside in Carmarthen you will move from the path and up towards Tywi Works where you will take a right turn across the old Town’s river bridge and right again towards the railway station. 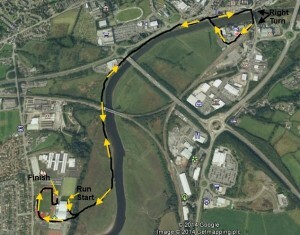 You will then be directed over the new Tywi bridge and back towards the Leisure Ctr. When you get back into the leisure Centre grounds you will be directed towards the Finish Line which will be positioned outside the main Reception area on the road.